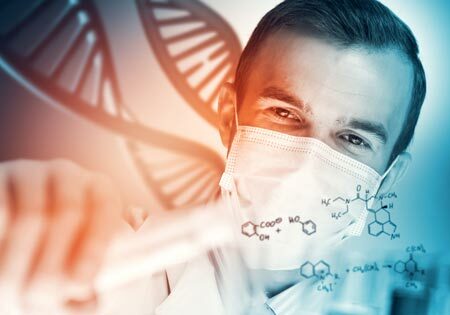 DNA/GMO Analysis - OMIC USA Inc.
Our BioAnalytical Laboratory specializes in the testing of different commodities, including raw agricultural crops, food, feed, and processed products for the presence of genetically modified traits. We offer additional expertise in commodities destined for Asian and European markets. Developing advanced techniques for extracting DNA from crude canola, soybean oil and other challenging matrices, allows us to determine precise levels of GMO in these samples. Other service offerings include pathogenic microorganism detection by real-time PCR, rice variety identification, crop genotyping, plant pathogen detection, and food allergen testing. Ongoing research and evaluation of new GMO detection methods, contract research services, and quality control procedures enables us to fulfill the diverse needs of our clients by providing unparalleled, cutting-edge services at highly competitive rates. Integrity and transparency are the key elements of our testing services. While the market surrounding Genetically Modified Organisms may be controversial, OMIC USA offers impartial science-driven results so consumers can make informed decisions. Our GMO testing methods meet the standards and regulatory requirements of major importing countries. OMIC USA Inc. is qualified laboratory for the Non-GMO Project. Qualitative and quantitative testing available. Qualitative and quantitative testing available for most. Qualitative with given threshold available.